The device built-in wireless modules can be inserted SIM card, can use cards to send/text messages.With a high speed . It uses the development of WAVECOM module, 220V power supply, can be a long time stability, generous luxury housing. it is working compatible with windows 2008 R2,Windows 7,Vista,XP,2006/2000,98SE/CE,LINUX,MAC. The device built-in wireless modules can b inserted SIM card, can use cards to send text messages. 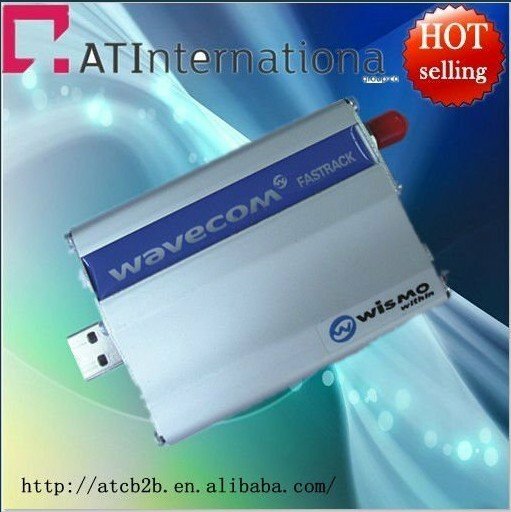 It uses the development of WAVECOM module, 220V power supply, can be long time stability, generous luxury housing. a separate module can be demolished. power lines and data lies are only one of the more simple. the size of a small, elegant, accounting for a smaller space (the size of the computer keyboard is only about half the size), especially suitable for the use of multiple macines at the same time. enterprises and customers (members) between the corporate partners, businesses and staff in the need for more exchanges. Send clusters: can be sent automatically to a large number of goals the same information. Widely distributed: the geographical distribution of the target information widely scattered to support fast: after message, just a very short time can be transmitted to the target. Convenience: the information through the portable phone to receive. Accurate: the message can reach the goal of accurate and timely manner. Exhaustive: the information sent by the computer system,significantly to avoid the artificial missing information. Strong visibility: the way the text information to send and receive. Economy: the reception of free information, send the cost of the SMS service provider in accordance with the rates, no long distance and roaming and other additional costs. Freeshipping,ZTE MF190 3G USB Modem/Data Card,7.2Mbps,MSM6290 Chipset.